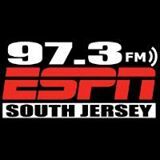 I joined Mike Gill at 97.3 FM ESPN to talk about Sam Hinkie’s resignation. Listen below. I went on with Mike Gill of 97.3 FM ESPN to talk about Sam Hinkie’s future with the Sixers. Listen below.